Victorian government primary schools have welcomed 100 mathematics and science teaching specialists into classrooms in a bid to boost student participation in the two streams. This initiative follows in the footsteps of the government’s maths and science coaches programs, which were discontinued at the end of 2011 as part of a $441 million cut to the education budget. The government hopes that the new two-year program, introduced into more than 50 government primary schools this week, will revamp maths and science education, as well as laying the foundations for further study at secondary and tertiary level. Over the next four years, the $24.3 million program will fund the placement of a total of 200 specialists across the state’s government primary schools, with a second stage planned for the 2014 and 2015 school years. Additional funding has been allocated to initiatives such as the Career Change program, which encourages industry specialists to embark on a career in education, and the Science Graduate Scholarship program, which encourages science graduates to undertake teacher training. 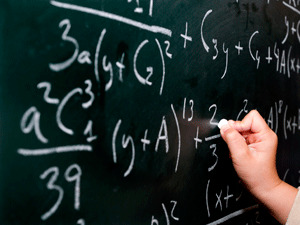 The Victorian Government has allocated extra funding to improve maths and science education, including funding for specialist teaching in primary schools and incentives to attract science graduates and industry professionals to teaching roles. More than 50 government primary schools have welcomed maths and science specialists in 2012 for the two-year program. A second round has been scheduled to begin in 2014.